Private eye Jack Taylor, late of the Garda Siochana, the Irish National Police and any condition remotely resembling sobriety, is down and out in Galway in the third entry in this relentlessly dark yet never dreary series (The Killing of the Tinkers, 2004, etc.). A summons arrives from Bill Cassell, Galway gangster and figure of authentic evil. He’s done Jack a favor asked out of dire necessity, and now he’s calling his marker. Find a woman named Rita Monroe, orders the reptilian Cassell. It’s not the blood-chilling imperative Jack had been dreading, but he knows better than to relax, and he’s right. The search for Monroe leads him to a group of young women horrifically exploited and tortured while being forced to labor not in some primitive Third World country but in the heart of Galway. The revelations bruise Jack’s spirit as severely as the parallel investigation into his own addictive and destructive personality. At length, Jack finds Rita Monroe, achieves long-overdue justice for the brutalized women and maybe, just maybe, takes one small step toward personal redemption. Jack’s Orwellian journey is often painful, but there are compensations. An array of good writers, from Ralph W. Emerson to George P. Pelecanos, are quoted throughout. 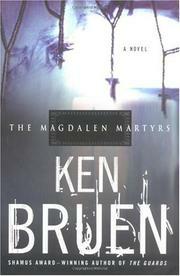 It’s a class of writer that includes Bruen himself.